Cinnamon is an open source user interface for Linux desktop environments, such as GNOME. 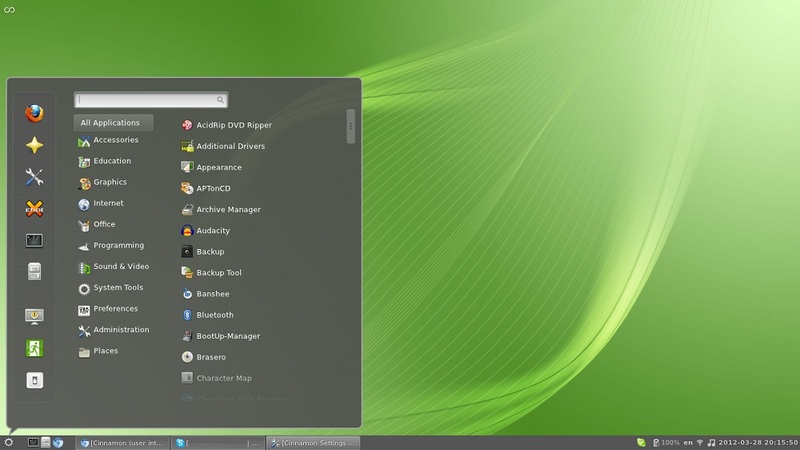 It is based on the GNOME's GNOME-Shell user interface and provides advanced and innovative features, as well as a traditional user experience. The best part of Cinnamon is that the desktop layout is similar to GNOME 2. It is easy to use, powerful, flexible and features lots of themes, applets, desklets and extensions for greater customization. No Comment to " Install Cinnamon desktop in Debian / Fedora / openSuSe "